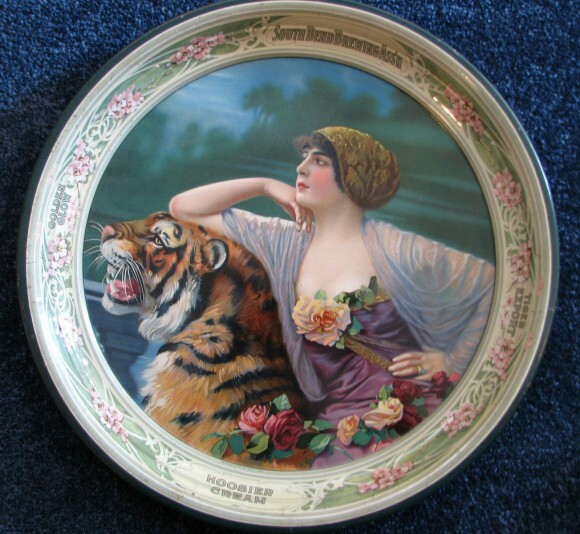 Serving Tray for South Bend Brewing Association showing a highly detail picture of a beautiful woman laying on top of a tiger. Names of the company’s different products are stated along the border. Tiger Export, Golden Glow, and Hoosier Cream.